For 9 months I have effectively been a single mom and I have been hesitant to take a vacation without family or friends help because I wanted to make sure we were safe. 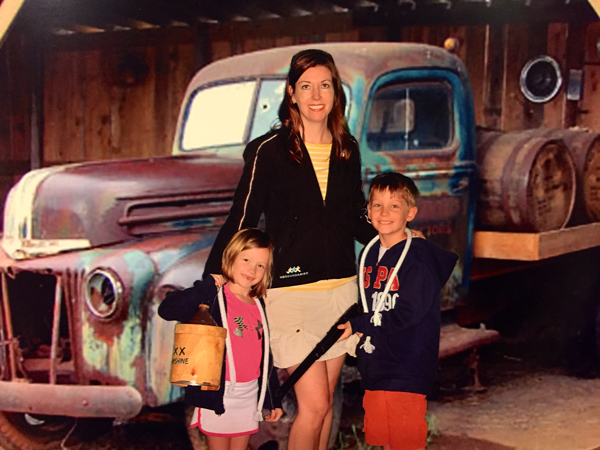 Thanks to The Cabins of the Smoky Mountains and Pigeon Forge Tourism Board the kids and I embarked on a 3 Day Vacation that was family focused and safe! Check out all that we did in just 3 days! 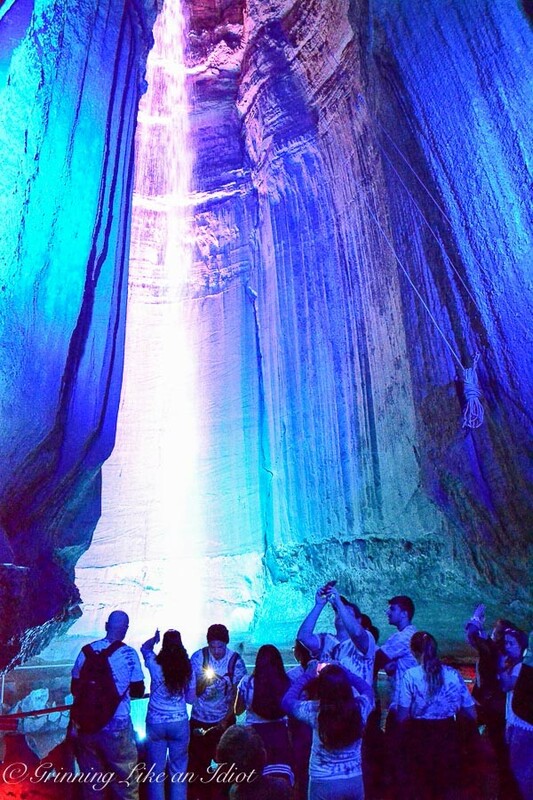 This time I was prepared: we stopped at Ruby Falls to stretch our legs, see a beautiful wonder, learn a bit of history and have lunch on top of a mountain. After two hours at Ruby Falls we were back on the road again. Next stop Cabins of Smoky Mountains! 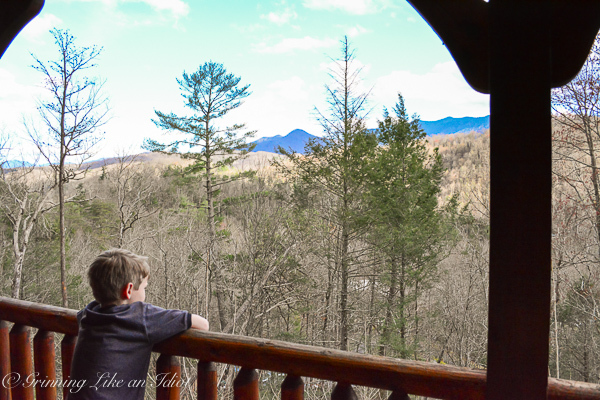 Check out this view from our cabin at the Cabins of Smoky Mountains! The kids ran around, played games and begged to hop into the hot tub. :) We relaxed for a bit before our 8pm reservation at the Lumberjack Feud Dinner and Show. The Lumberjack Feud show was well orchestrated with champion lumberjack men and women as well as lumberjack dogs. 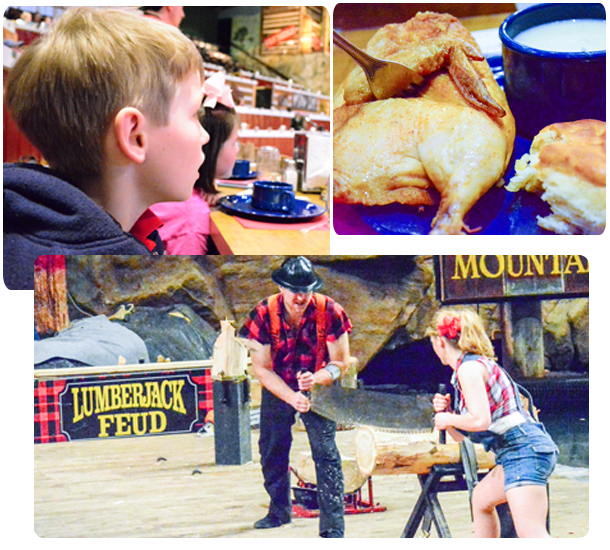 We watched the lumberjack men and women, throw axes, use ultra powerful gas powered saws, log roll and other activities that require great skill and strength. It was impressive! I was lucky to get a picture of the food! My son ate his whole chicken, his soup and two corn on the cobs (I didn’t even get a chance to include the corn in the photos :)). My daughter devoured my biscuit and hers. As a whole, the two hour event, for dinner and a show was well worth the money. We spent the whole day in Pigeon Forge and visited The Island in Pigeon Forge for the first half of the day. The Island contains a series of shops, restaurants and carnival like activities including a 200ft ferris wheel and a mirror maze. 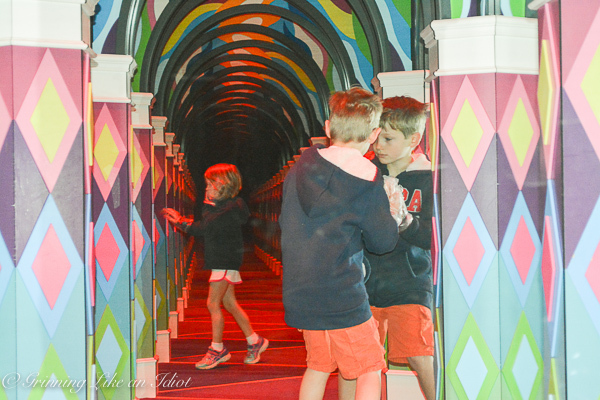 The Mirror Maze was my kids favorite activity at The Island. My favorite place to visit was Big Rock Candy Kitchen that had just opened up: I bought a pound of Maple, Bacon Fudge - it is fantastic! After The Island in Pigeon Forge we went to WonderWorks. FYI: you need closed toe shoes, don’t wear a skirt or dress and there are height restrictions. It was a blast! 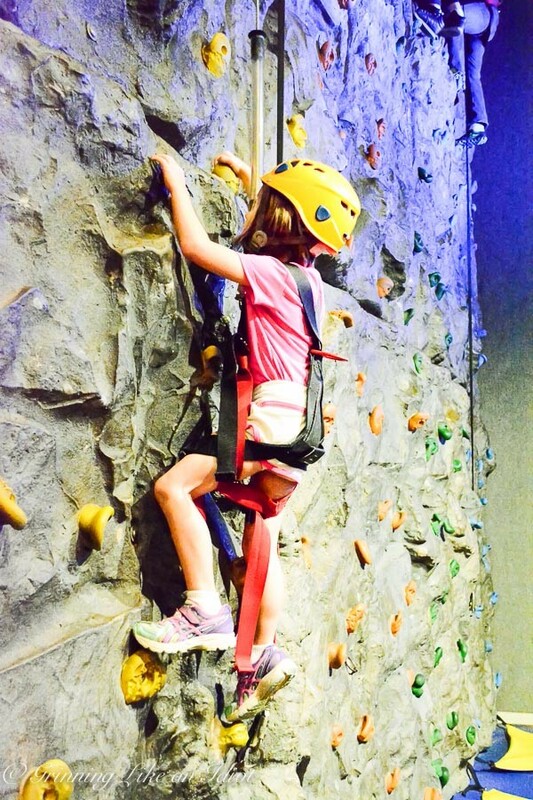 We climbed rock walls, and went up into the air on a ropes course, danced, played with bubbles and at the end saw a magic show. I was so impressed with the magic show that I even bought the DVD so we could learn some of the magic tricks at home! We are definitely going to WonderWorks again at any of its locations! After the magic show, we walked next door to the Hatfield and McCoy Feud Show and Dinner that started at 5pm. The entertainment provided some Pigeon Forge history as well as history about the 50 year long feud between the Hatfield’s and McCoy’s. Did you know that the feud started over a pig!? The Hatfield and McCoy show included tap dancing, singing (even some yodeling), while all along maintaining a foundation for their love of God and Country. The show was really well done! And the show was served up with fried chicken, pulled pork and good ole fashioned southern food. Also well worth the money! On our last morning on our vacation we relaxed and played at the cabin. We could not have asked for a better place to stay. 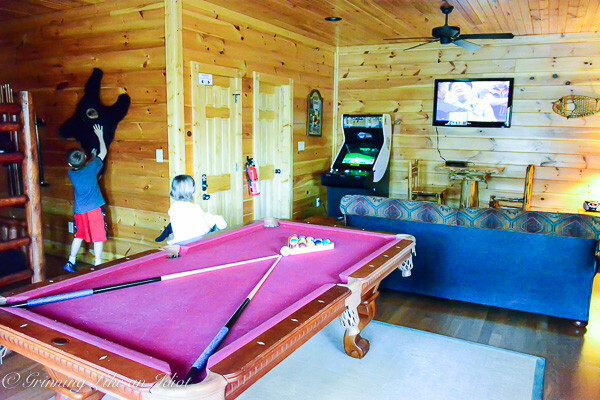 Not only were the Cabins of Smoky Mountains comfortable, but the kids had the coolest room: they had bunkbeds in a game room! While the kids played, I relaxed on the back porch with a cup of coffee and stared out at the mountains. After I was fully caffeinated, I taught the kids how to play pool and pinball. Then we chilled in the hot tub before our car ride home. 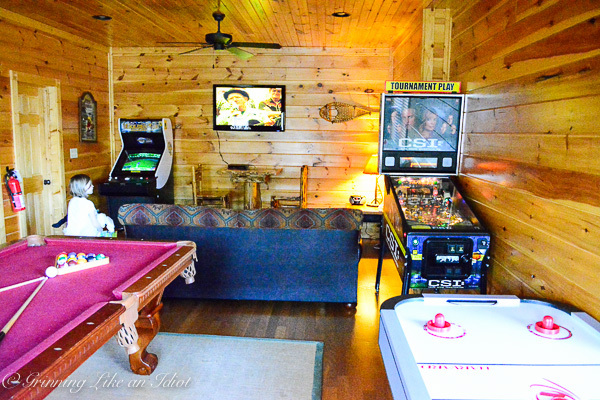 The cabin and the serene surroundings were the perfect place to relax after a fun filled day. Mayfield Dairy Farm was about 15 minutes off the beaten path and a 45 minute tour that ended with a marvelous scoop of ice-cream (they even had flavors that were not available in stores!). 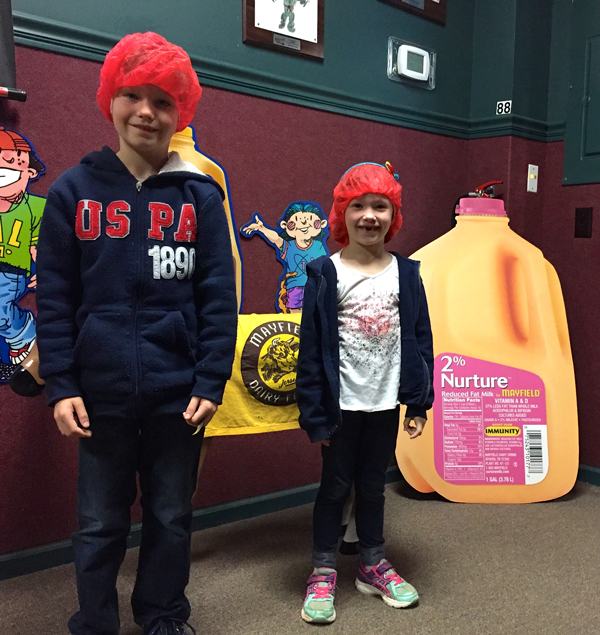 Did you know that Mayfield makes over 3 million pints of milk starting in August every year to support our schools?! It was really quite educational! It was a wonderful and memorable trip! 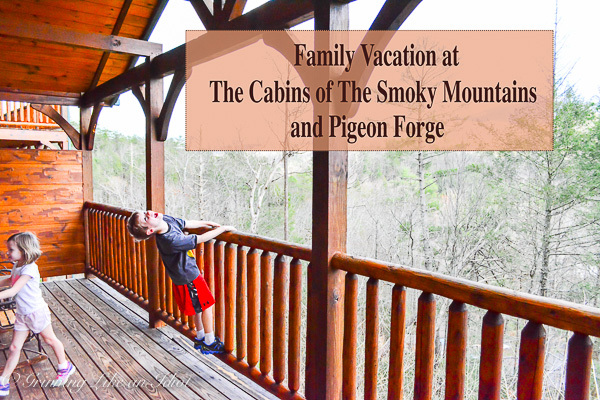 I can’t wait to go to Pigeon Forge and stay in the Cabins of Smoky Mountains again: there are so many family friendly activities that one trip was just not enough! In just a 3 day break we didn’t even get close to seeing everything that friends and family recommended. Next time, we’ve got to hit the WonderWorks again, go White Water Rafting, and visit Dollywood! While there were points during the trip I wished Ben was with us, I was also glad to just share this time with our kids - a mommy and me weekend - so to speak. What vacation spot have you been to that you felt was family friendly and really safe?